Do you need a large amount of clean, sanitary water? Are you wondering where you should turn when you need more water than a tap can provide? Choose The Water Bus any time you need a reliable water delivery service. We provide clean, sanitary, drinkable water to Red Deer worksites and residences. The Water Bus is a registered member of the Alberta Health Services, so you can feel confident in the cleanliness of the water we deliver. 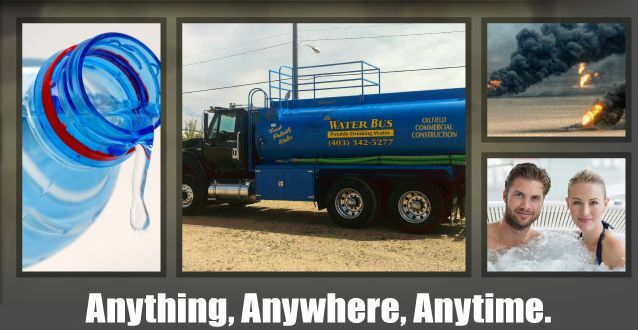 The Water Bus serves clients with residential and commercial water delivery in Red Deer. Our three trucks can each carry up to 3,200 gallons of water, allowing us to accommodate projects of any size. Feel free to give us a call if you have questions about a specific service. The Water Bus proudly provides water in the event of an emergency, including natural disasters. We are available 24/7, which enables to quickly accommodate any need for water delivery in Red Deer. No matter where we are delivering, we always put the customer and community first. Call us any time you need bulk potable water delivery. The Water Bus offers same-day water delivery, which means you’ll never have to wait for water when you need it most. Same-day delivery also ensures that the water we deliver is as fresh and sanitary as possible. Life is busy. We know your water needs don’t revolve around regular business hours. You can rely on us to deliver water on your timeline. 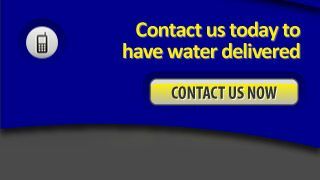 For efficient, reliable water delivery, call us today at 403-342-5277.